Rosehip oil, also called rose hip seed oil, comes from the seeds of rose hips. Rose hips are the fruit left behind after a rose has flowered and dropped its petals. 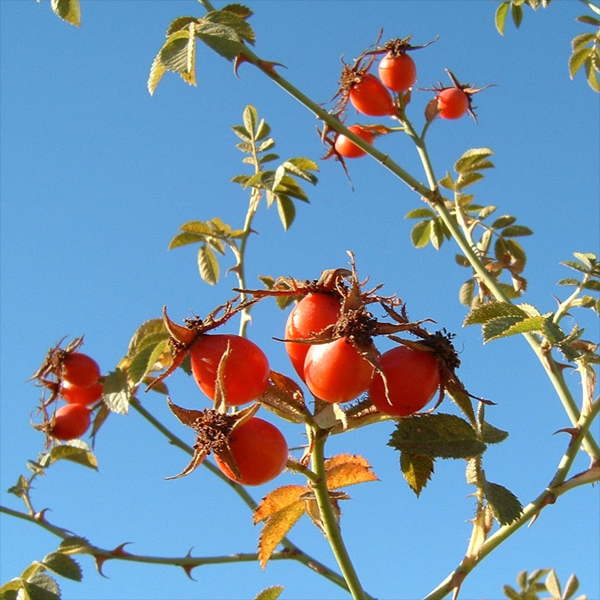 Rosehip oil is harvested from the seeds of rose bushes predominately grown in Chile or Turkey, and is full of vitamins, antioxidants and essential fatty acids. By using a cold-press extraction process, the oil is separated from the hips and seeds. 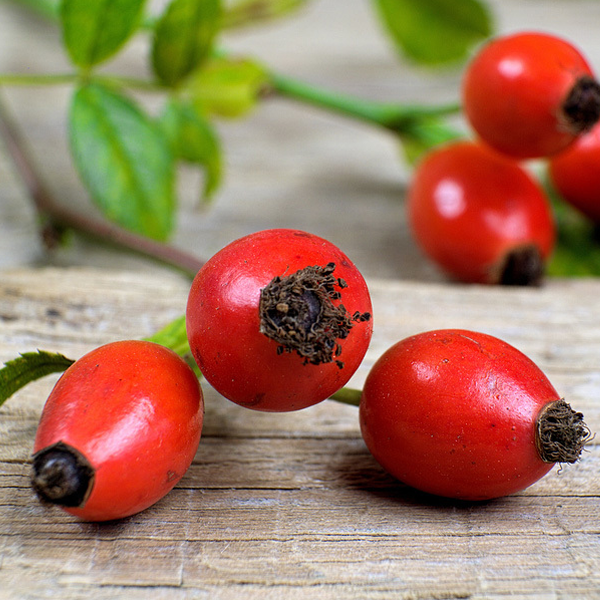 Rosa rubiginosa (Rose Hip Seed) oil, has been described as the ‘Fountain of Youth’ as a result of its amazing ability to regenerate and hydrate damaged skin. Known locally as Rosa mosqueta, this plant grows wild in cool, pure mountain air, and it is from the seeds of this plant that the oil is extracted. It should be an important component in practically any facial massage. Typically, this involves twice daily use for between one and three months. Apply a few drops with fingertips to the problem area. Massage gently for 2-3 minutes, or until the oil is completely absorbed. The skin will not feel greasy. In the case of acne, wash the skin thoroughly before treatment. After this treatment routine, use the oil in one application per day, which is sufficient for routine care and wrinkle prevention. Rosa Rubiginosa oil is superbly rich in unsaturated fatty acids, mainly linoleic acid (48%) and alpha- and gamma-linolenic acid (33%). These compounds are vital for the synthesis of prostaglandines in the cell core, for the regeneration of membranes, and for the cell's defence mechanism, as well as for other physiological and biochemical processes involved in the regenerative processes of the skin. Fatty acids are considered vital for human life; they can only be synthesized by a living organism, and they must be absorbed either through the skin or through ingestion. The role of these fatty acids in the tissue as hormone precursors (prostaglandine) is very important. Exposure to sun causes important morphological changes in skin. This appears in different ways and varying intensity ranging from surface wrinkles, active keratosis and variation in the distribution of the melanin granules. For this test volunteers were selected among people who usually spend the 3 months of summer in resorts by the sea or who go to the beach every day. The tests were carried out on 20 women, aged between 25 and 35, who were controlled and assessed during the summer of 1988. The most frequently noted cutaneous signs were surface wrinkles, brown spots and, in some cases, only an intense tan. All applied rosehip oil on the face during four months (May to August, 1988). Observations were made every 8th day. Significant changes were noted starting on the third week. Firstly, surface wrinkles started to disappear, spots started to fade until, at the end of the fourth month, the disappearance was complete. Skin presented a smooth and fresh aspect and the spots had almost disappeared.— Professor Bertha Pareja and Professor Horst Kehl, Dec. 1988. 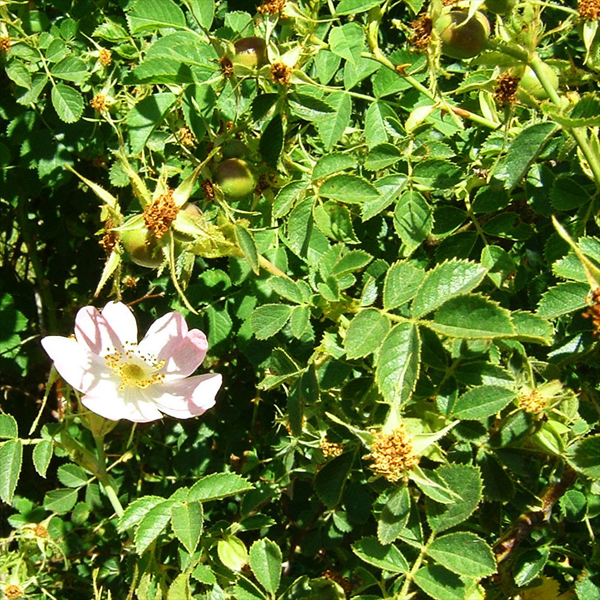 Rosa Rubiginosa can be used on its own, or with the addition of specific essential oils for added benefit and fragrance. Carrier oils are a massively important feature of an aromatherapy treatment. The correct and thoughtful use of carrier oils (also known as base oils, or vegetable oils) in therapeutic massage adds a huge additional dimension to the benefit of the treatment. Despite this, carrier oils in aromatherapy are sometimes seen simply as the vehicle for the essential oils to be introduced onto the skin. Hence the use of the word 'carrier oil'. 100% pure Rose Hip seed oil. Packed with essential nutrients to regenerate the skin. Perfect for damaged or mature skin types. Rose Hip Seed is a luxurious pure organic natural skin nourishing oil which is suitable for everyone, but is an absolute must for ageing skin. 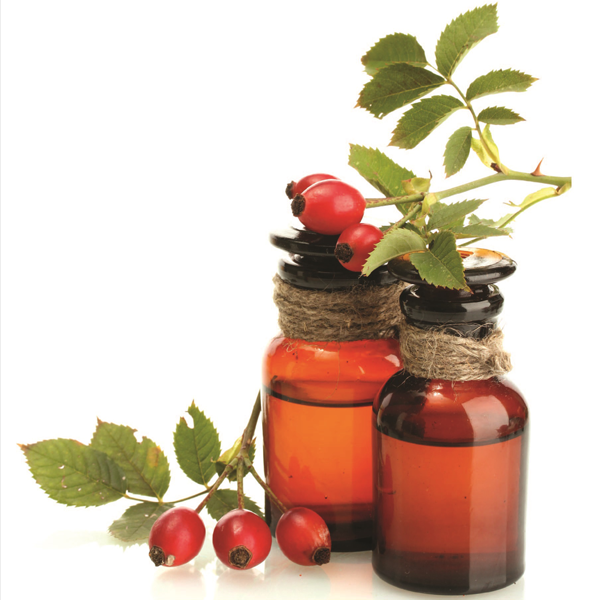 Rosa rubiginosa (Rose Hip Seed) oil, has been described as the ‘Fountain of Youth’ as a result of its amazing ability to regenerate and hydrate damaged skin. 100% Rose Hip (Rosehip) seed oil, organic. Name: Rose Hip (Rosehip) Seed. typically, this involves twice daily use for between one and three months. apply a few drops with fingertips to the problem area. massage gently for 2-3 minutes, or until the oil is completely absorbed. the skin will not feel greasy. in the case of acne, wash the skin thoroughly before treatment. after this treatment routine, use the oil in one application per day, which is sufficient for routine care and wrinkle prevention.